Idyllic Goose Harbor, Michigan, offers a fresh start for broken-hearted Paige Windom. In addition to securing a teaching job at the high school, she’ll fulfill her dream of helping at-risk teens in a nearby inner-city mentoring program. But Caleb Beck, a handsome yet overprotective widower and the center’s founder, doesn’t want Paige anywhere near the place. He’s afraid she’ll get hurt just like his late wife. Paige knows she can do a lot of good for the kids and Caleb himself. If only she can show him how to let go of his fear, maybe they’ll both find a way to reopen their wounded hearts. Goose Harbor: Love is in big supply on the shores of Lake Michigan. Harlequin’s Love Inspired series covers every genre imaginable—from historical to contemporary to Amish, Christian fiction authors have given Harlequin fans a line of books to enjoy no matter the reading preference. Despite the prolificacy of the line, until this month I had chosen to not read the Love Inspired line because the smaller size of the novels indicated I would read the books too quickly to be worthwhile. Reader friends—I was wrong and will gladly admit that statement to you as many times as needed. 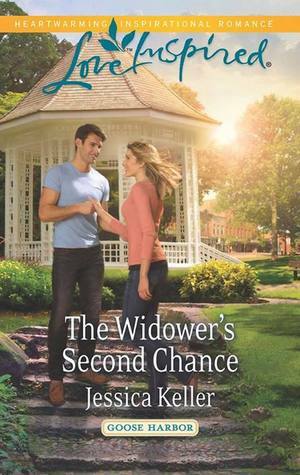 I enjoyed The Widower’s Second Chance very much; I will be reading more from the Love Inspired Line; and I will absolutely read more from author Jessica Keller without any hesitation. In the tradition of “don’t judge a book by its cover,” I now also believe that size is not indicative of a good story. A heavy tome does not equal a more comprehensive plot, and a thin volume does measure to a shallow novel. I learned through The Widower’s Second Chance that the Love Inspired line condenses a meaningful story into a small package through deep characters and inspirational growth. 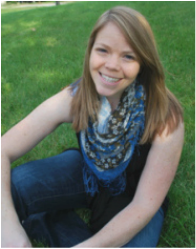 Jessica Keller first novel in the Goose Harbor series, The Widower’s Second Chance, centers on hurting protagonists whose faith is grounded but shaken after traumatic personal experiences. Either main or secondary, Keller’s characters make this novel shine as they take their unique viewpoints on life and love and share them with others. Caleb, and overprotective widower, is a perfect male protagonist—he is wounded yet strong, brooding and handsome, overbearing but protective. I couldn’t help but love him, even with his zealous-but-wrong mindset that he had to save everyone from themselves. Paige is the all-American girl-next-door that every female wants to be at some point in her life. She is pretty but doesn’t know it, feisty and loveable, and just fun to read about. Paige and Caleb make the perfect pair; their characteristics and quirks balance each other, but clearly they will have a dynamic relationship that takes work. Keller’s choice to make Paige a Caleb fit but also flawed—much like a true relationship for readers—brings an authenticity to her novel that makes her story relatable. All of the characters in The Widower’s Second Chance are thoroughly created and unique; however, the smaller size of the Love Inspired novels means the authors have to sacrifice some aspects of novel writing that otherwise would create a deeper story. Despite that I enjoyed the characters in Keller’s novel, I did feel the novel lacked characterization. Many times throughout The Widower’s Second Chance I noticed that I sympathized with Caleb and Paige—but I did not empathize with them. One concession that Love Inspired authors make when writing for this line is the “show versus tell” choice that writers and readers are inundated with by teachers and the publishing industry. Showing—using action, dialog, and other writing tools—draws readers into the story directly while telling—plainly stating—does not require readers to use their imagination. The word count for Love Inspired, which creates those smaller novels, limits the amount of showing readers have come to love and instead requires authors to use a bit more “telling” in the novels. Jessica Keller is quite a good author and handles this change of “show versus tell” with graceful writing. Her setting, Goose Harbor, is exquisitely created with vivid descriptions of an idyllic lakefront town and its accompanying culture. Characters that remain in the background of The Widower’s Second Chance enhance the story’s plot and are vital to realism of the novel. The emotions in this novel are authentic and, at times, heart-wrenching. Keller enhances the emotions in The Widower’s Second Chance with a story that is unique and needs to be told. Her focus on this story, along with challenges in faith that are true and believe in both life and novelization, bring this novel a level of believability that will have readers picking up her book more than once. Keller’s second book in the Goose Harbor series, The Fireman’s Secret, releases in early 2015, and I cannot wait to read it. I read The Widower’s Second Chance in less than a day, so I know I will love this author’s follow up to her lovely Goose Harbor beginning. Upon her arrival in Redbud, Kate meets Matt Jarreau, the man hired to renovate the house. Kate can’t help being attracted to him, drawn by both his good looks and something else she can’t quite put her finger on. He’s clearly wounded–hiding from people, from God, and from his past. Yet Kate sets her stubborn heart on bringing him out of the dark and back into the light… whether he likes it or not. Have you ever had that feeling of euphoria when finishing the last page and closing the back cover of a book? Well, I have—and this afternoon I just added another book to my “favorite novels” list as I again experience that glowing sensation of finishing a beloved story. As sad as I am to close the chapter on Kate and Matt’s love story, the smile I wear upon my face five minutes after finishing My Stubborn Heart attests to its charm. I met Becky Wade a few months ago the American Christian Fiction Writers conference in St. Louis, Missouri. Her warm demeanor and efforts to welcome me into her circle of author friends made me feel a part of the ACFW at a time when the bustling crowd of published and pre-published writers could easily overwhelm a new member of the organization. Out of curiosity of my new friend’s writing abilities, I picked up her book at the conference bookstore; out of a desire to continue finding new Christian authors’ books to read, I ordered every other of Becky’s books when I returned home. Those decisions are two of the best ones I have made in 2014 regarding my “to read” list. Another ACFW friend of mine, Casey Herringshaw, recommended My Stubborn Heart to me when I perused Becky’s books that day in the ACFW conference bookstore. Casey is a prolific book reviewer and beloved member of the ACFW, so I knew her recommendation of My Stubborn Heart would be worthwhile to pursue. After finishing this book, I proudly and whole-heartedly proclaim that Casey’s recommendation was correct. I loved every page of My Stubborn Heart and will share this novel with anyone who enjoys romance novels, especially ones that fall under the inspirational Christian genre. Becky Wade knows romance inside and out—from the characters opposing personalities, to a passionate and deep connection, to internal struggles, to humor and wit, and supporting light-hearted secondary characters, My Stubborn Heart is a gem of a novel that shines bright amidst the Christian romance genre. The romance between Kate and Matt, punctuated with grief and loneliness, is believable and true. The other aspects of the relationship—that grief over the loss of someone special, the regret of past decisions, the uncertainty of the future, amongst others—brings realism to My Stubborn Heart that most romance novels do not achieve. Matt and Kate do not find each other with ease—Wade makes her characters work for their relationship and find themselves before they can have their relationship. My Stubborn Heart is a Christian romance and the novel does center around its characters’ faith. Kate is a Christian and holds strong to her ideals and purpose, while Matt fights anger towards God after losing what he holds most dear. Wade treads the line of faith building beautifully without ever creating characters who preach or come to God without ever experiencing suffering or pain. Kate teaches Matt about God slowly and carefully; she struggles with her faith when her plans change unexpectedly, and she follows God despite His plans differing from her own. Matt’s relationship with God does not follow a cookie-cutter pattern—he wonders and doubts about God’s decisions, and his rebuilding of the relationship is just as lifelike as any questioning Christian would make it. Romance novels at times tend to be filled with clichés or overly-sentimental scenarios or dialog. My Stubborn Heart is the opposite of those novels. While a Christian romance, My Stubborn Heart still retains the authenticity of a true adult novel. I loved Wade’s story for this reason, because at times Christian contemporary novels are too sweet to be a real. Kate throws in comments about her appearance, just as many women casually discuss their bodies with their girl friends; the attraction between Kate and Matt is palpable and filled with tension; and occasionally there are some words thrown in that some inspirational authors shy away from. 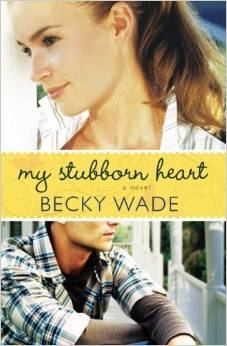 All of these aspects of My Stubborn Heart bring a realism to Wade’s novel that bring readers deep into the story. My Stubborn Heart earns a high rating. Wade has two other inspirational Christian contemporary romance novels published, with a third releasing in summer 2015. I already own the first two books in the Porter series and eagerly anticipate her newest release.